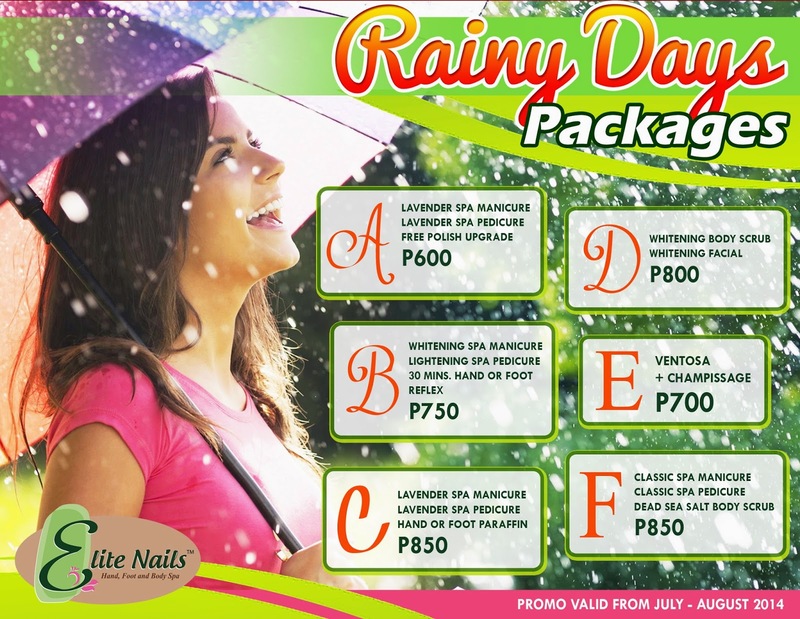 Anticipate the rain drops keep falling on your head this cold season but with elite nails spa, discounts will pour over! No matter how we love the warm and dry season brought by summer, we also need some little rains to slow down and prepare for a cozy time to rejuvenate. Celebrate bed weather and activate your spirit with these amazing spa packages today! Treat your hands and feet to tender loving care with this luxurious leg-foot and hand-arm routine to reveal rejuvenated, soft and smooth skin for your upper and lower extremities plus a set of cleaned nails and toes. Cap it off with a relaxing hand or foot reflexology treatment. Offer your hand and feet a relaxing and rejuvenating experience that treats dryness & callous build-up. Our lavender oils, scrubs and creams will stimulate and cools, while the paraffin works to ease pain and tension and reveals a softer & radiant skin. Get a full body exfoliating scrub and a facial with full whitening benefits that gives your skin and face luminous glow! Make the cool breeze a little warmer while we take away your stress and sends you to complete rejuvenating state with this combined treatment. Soothe your tired hands and feet and bring back glow to your nails with these amazing combo of spa manicure and pedicure. To further the indulgence, a full body scrub will follow, wherein your stressed body transforms into ache-free and detoxifying bliss.